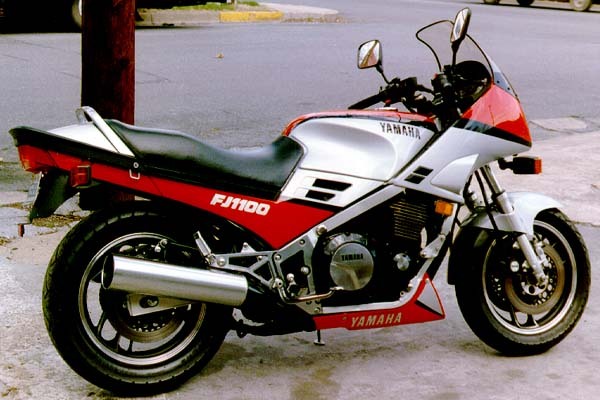 There is no really bad year for the FJ 1100 or 1200. But as is usually the case, the newer and more expensive models are going to be the best versions. 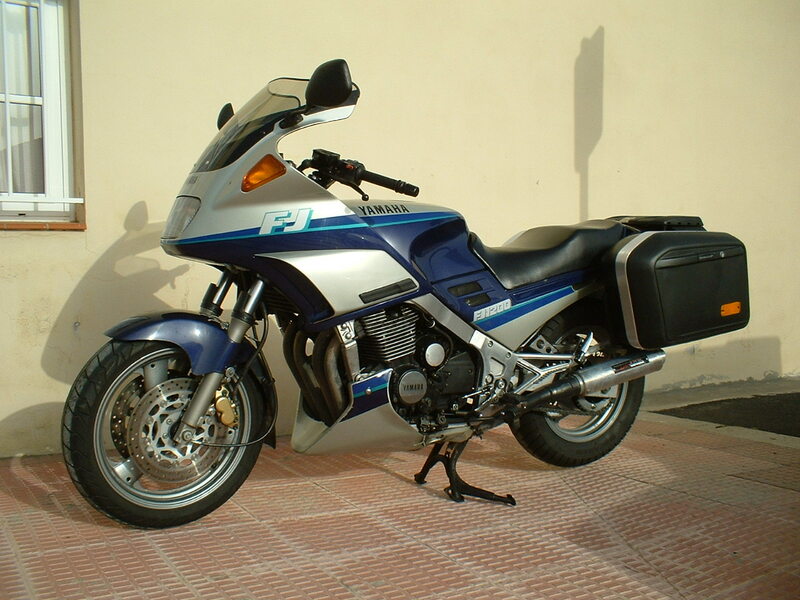 FJ 1100 & 1200 to 87 are lighter and sportier, in part due to 16 inch front wheel, and 1200 88 on are more tour-orientated. Because that huge power plant has such good mid-range torque, there is little temptation for owners to get rev happy. This bodies well for longevity, a trait for which the FJ is well known. High mileage bikes are not a problem as long as they have been properly maintained. Don’t worry about a minor ticking noise on the left side (even more, look for it, because it is a signal that the valve clearances are ok), but beware of a starter chain that causes a growl that won’t go away when the engine warms. It means ultra high mileage. Don’t worry too about the distribution chain: it is a super-strong triple item that will last for + 200.000 km . There are very few known problem areas for this bike. The most common repair is a rounded-off second gear cog. This comes from lazy shifting or always maximizing acceleration though the gears. This is a common problem with FZR and FZ 750 models too. Because repairing the gear requires splitting the cases, this can get an expensive trait. Look for a properly maintained chain in good condition. This is an expensive chain, and with the power of this engine, you won’t want to replace it with a cheap unit. A freshly installed, high-quality chain is a good item to have. The only chain recommended is the OE spec DID ZVM 530. Rear wheel bearings can be burned out if improperly lubricat ed. This was most severe in the FJ 1100s and FJ 1200 pre-88 models, and was largely cured in later models. Anyway, my experience tell me that the wheels, swing-arm bearings or linkages bushes are only a problem for those of you that lived in rainy, dark places, with snow and salt in winter. For these of us that sacrificed ourselves testing our bikes because we live in sunny, warm places, where you can use your motorbike 300 days in a year ;-) it doesn’t seem have problems in + 100.000 kms. Suspension is going to be a little tired when you buy your FJ, and FJs rear shock always has been at the soft side. Think that a good shock is an expensive affair. 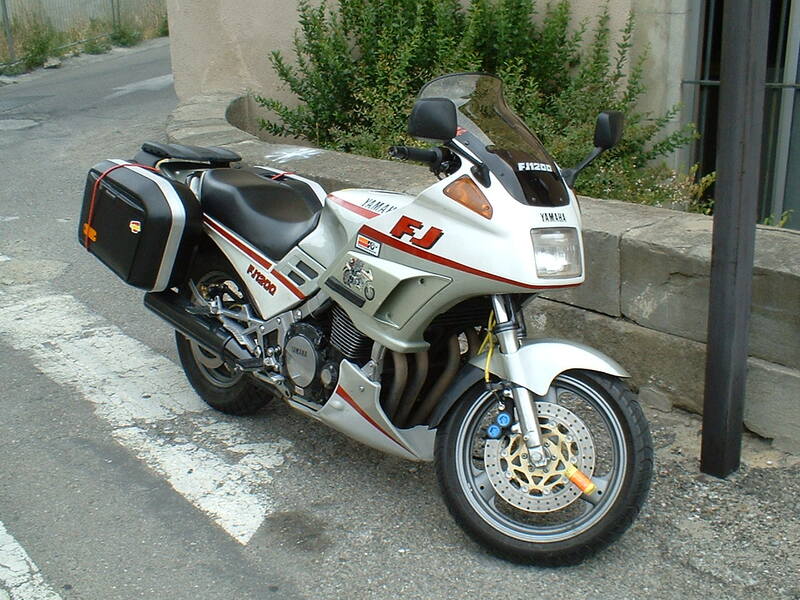 When I decided to look around for my “new” FJ 1200, I did a forecast around 1.500 to 2.000 € to buy the bike PLUS around another 1.500 € to fix all the possible problems. Think that comparative with a car, a bearing failure or a motor breakdown is more dangerous riding a motorbike, and things like the brakes would be in needing of a total stripping and revamp. - Check for brake clutch fluid leaks and clutch engagement. - Start the bike, engage 1st gear and with the clutch lever engaged, high the rpm to see if the bike want to jump forward (to test clutch discs wear). - Take out the air filter to check it. It is a 10 min affair and it speaks about the correct maintenance of the bike: that black and cogged filter tells you that the “cared and recent revised” item is not true at all, and then thinks that the oil has not been changed in at fewer 5 years. - Check exhaust for holes or corrosion. And those metal bumps on the exhaust surface are inner oxidation signals. - Look for rear suspension linkages fitting point’s cracks or damages. - Check swigarm movement and look for cracks. You could weld a steel FJ 91-on swig arm, but not the previous FJs aluminium one. - Check for too much balance weight glued to the rims to balance the tyres. It could be a damaged rim, very difficult to balance properly. - Check the brake discs: thickness and cracks. To see if those are warped, manually turn the wheel and check for free movement along its complete turn and look for any resistance to the movement. For the rear wheel, simply lift the bike in the centre stand and for the front wheel, with the bike in the centre stand; tell to anybody to push on the rear to lift the front. Fit new hoses, rigid ones. Not too expensive and great improvement in performance and security over your 10 years old hoses. - Damaged bearings, not apparent checked at 1st inspection, but with their races marked and in needing of change. Replace of the head bearings is my worst nightmare in the FJs. I changed them 10 years ago in my FJ 1100 and again in my new FJ when I bought it. It is near impossible to follow the workshop manual procedure: punch the inner bearing races with a screwdriver and a hammer: there is no area to base the screwdriver to push the down bearing race. In my 1100, I got take out the down head race welding a piece of iron to have area to punch it out, and in my 1200 with a little radial-saw, mm to mm grinding for 10 hours the race surface until it collapse, being horrified for the possibility of damage the chassis inner head . In my FJ consultory there is another method, but anyway, it is not easy task. Anyway, the Yamaha valve clearance tool is essential, and a good vacuum gauge to sync the carbs. And estimate that I did the job in about 16 hours of labour, that it could be similar to a professional service, because I know very well FJs. I spent around 800 €, between parts and fluids. The most expensive item I have bought is the rear shock, and I had the fancy of the hydraulic preload, but even without that, a good Hagon is around 350 €. Think that, like you will see below, I have had not to change rear linkages bearings or wheels bearings, brake pads, clutch plates, master cylinders seals, corroded fork tubes, worn tyres, worn chain & sprockets or damaged exhausts because I found an exceptional maintained FJ. So my initial budget of 1.500 € in spares is not too far away if any of those things are in needing of a replacement. Think too that if you spend more money in a good 2nd hand FJ, you will spend less in spare parts. Anyway, earth to earth missiles like FJs for around a grand total of 3.000 to 4.000 € to leave them like new is a bargain!